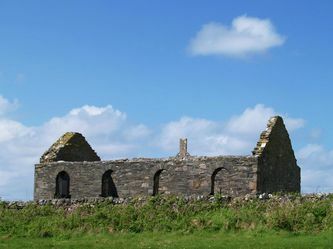 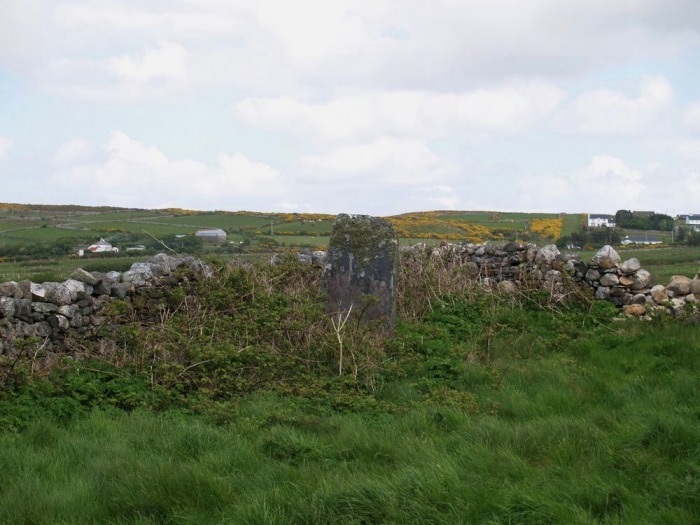 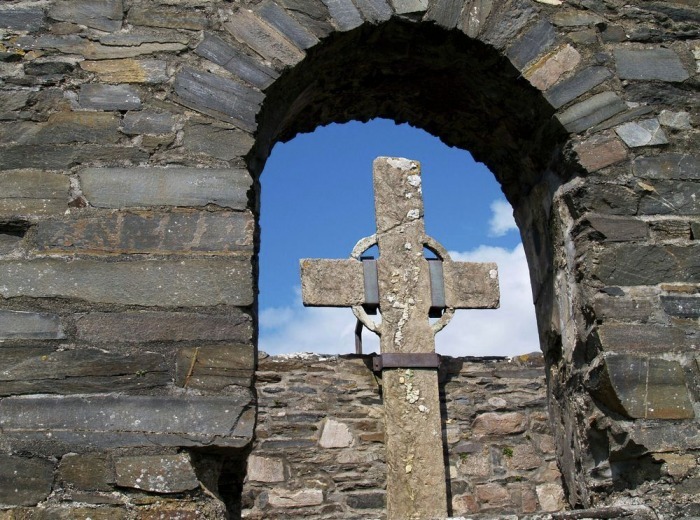 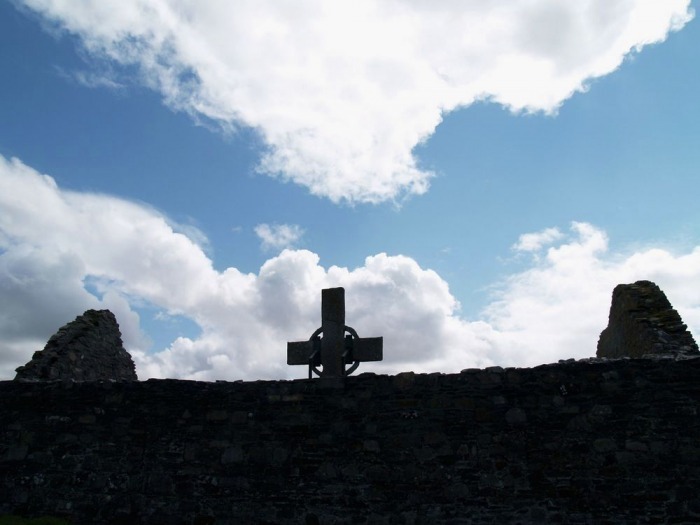 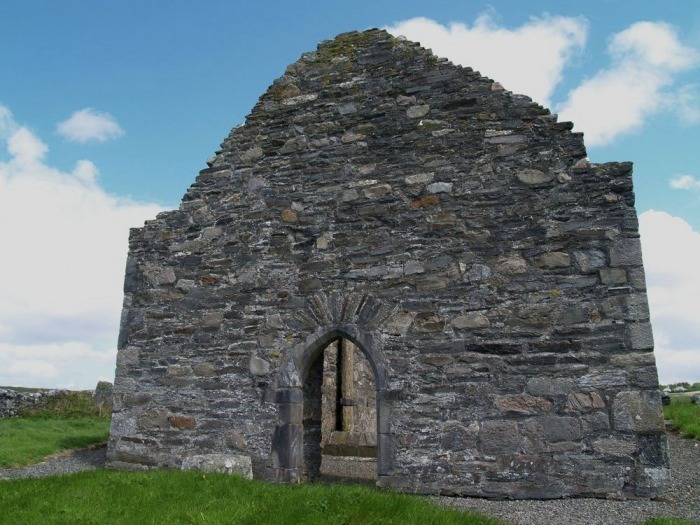 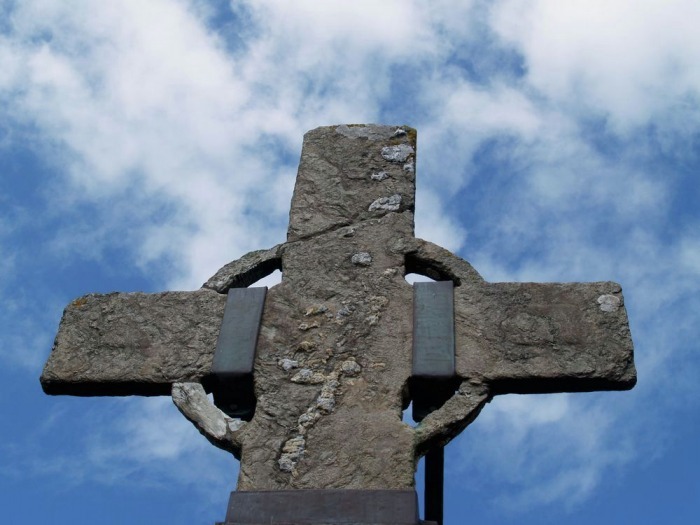 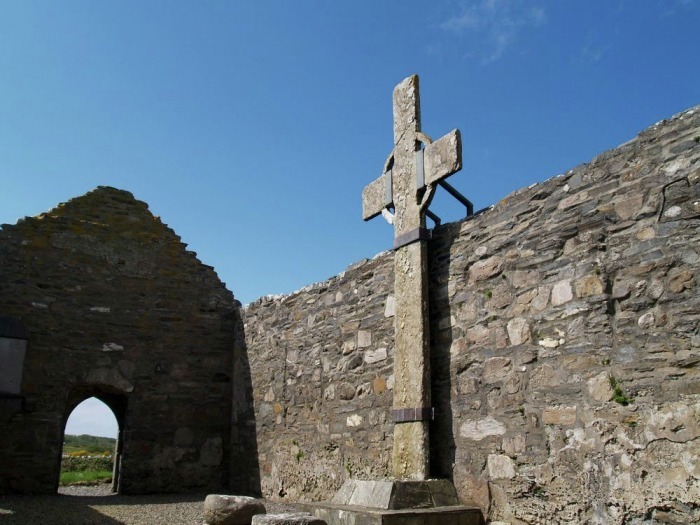 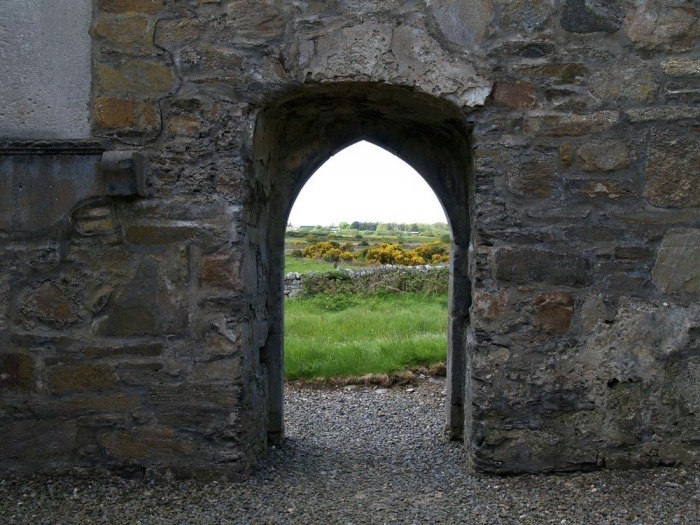 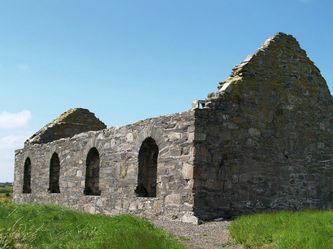 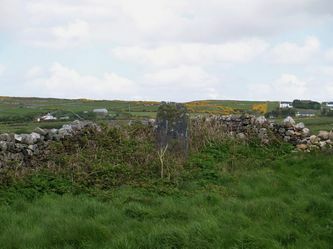 Just outside the village of Falcarragh there are church ruins which house a large St. Colmcille's Cross. The cross stands around 9' high and seems to be made of slate. 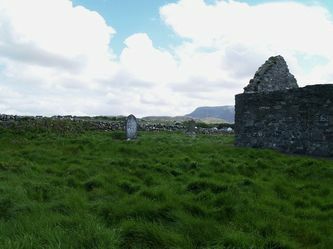 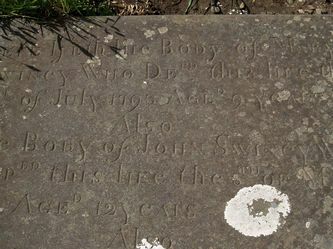 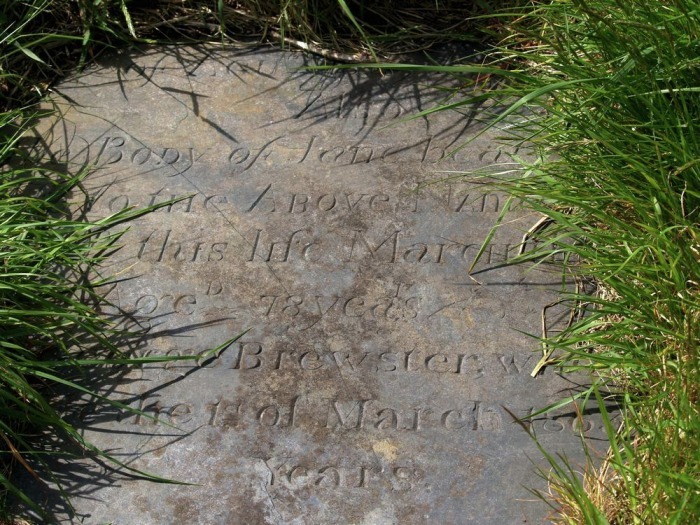 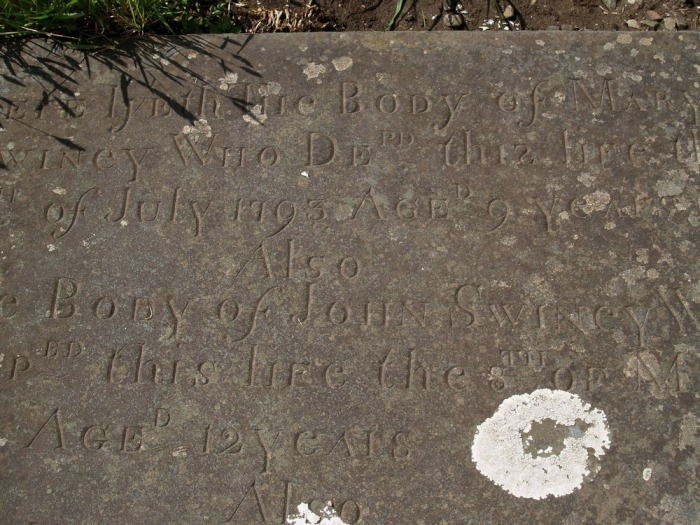 In the cemetery surrounding the church ruins there are graves dating from around the 18th century.